I Have Run: Resolutions, smesolutions. I didn't set any New Year's resolutions. I thought about it. But for me, I don't need a new year to set a goal. I have lots of goals, but they serve a specific purpose, and I have specific plans in place to achieve them. I know for some people a new year is a great motivator. It is like a clean slate. But for me, it unfortunately falls during the most dreary month of the year, with the let down of my favorite time of the year being over on top of it, so my mood and motivation aren't where they should be for setting new goals and tackling them with everything I've got. Last week I didn't work out or run Friday or Saturday. Simply because I didn't feel like it. What I really wanted to do both days was crawl back into bed or curl up on the couch and be a slug for the entire day. I didn't. I managed to be mildly productive and went to work and fed my family and such. But I'll admit: I did the bare minimum. Any fitness or health-related resolutions I may have been tempted to set for would have gone right down the drain the first week of the new year. Instead, I am focusing on one day at a time. Figuring out what works for me in the moment and doing the best I can for that day. 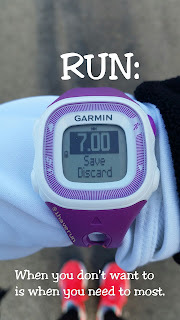 I did manage to overcome my ongoing lack of motivation yesterday and had a strong seven mile run. And was reminded that when I want to do it the least is when I need it the most. And I'm getting my eating back on track. Again, one day at a time. I've found that looking beyond that only makes me focus too much on food and then I end up overeating, sabotaging my lofty long term goals, or giving up completely when I don't meet all my expectations. When I'm hungry, I decide what I'm going to eat. The extent of any long-range planning is figuring out a few possibilities for dinners this week so I could get the necessary ingredients at the grocery store yesterday. But those meals are just options. If we end up having something else because it works better with our schedule or simply sounds better, I'll roll with it. I hope you are all having a wonderful new year and are being nice to yourself. If there's one resultion it couldn't hurt to have, that would be it. Be nice to yourself. 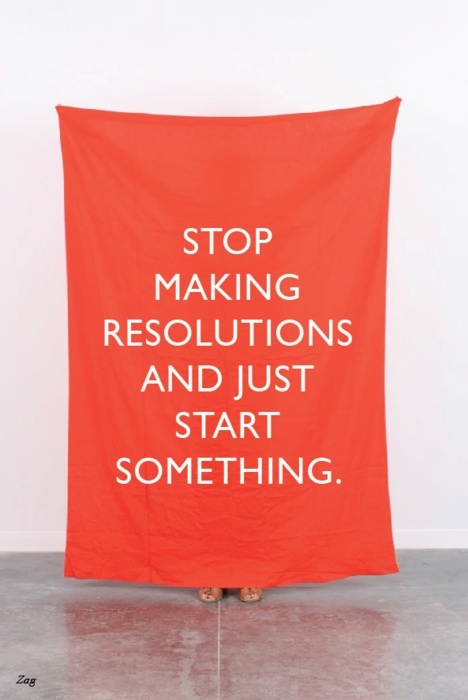 I'm right there with you, I don't do resolutions. But I do like myself some goals. About every 6 months I need new ones but they are small so attainable. Happy New Year! I love this! Yes, be kind to ourselves. For sure. 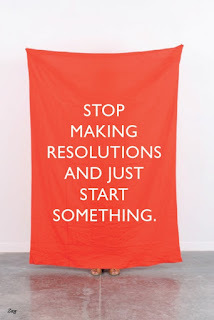 My "resolutions" are usually not health related because I do have goals that I always try to stick to. I have also learned that goals are great but to also listen to the body. Not doing so has gotten me into trouble in that past. For this year, I have decided that my "resolution" is to watch one documentary per month! I love them but this will help me take time to actually watch them. In past years, I have done things like: one new recipe per month, an art project per month, etc. Things that I say I want to do but can often take a back burner. We are the same person (I am not sure if I have mentioned this before or not ;) ) So can you help me adopt your ideas and put them into motion. I think it would help my mentality (and as a result, physically)a lot. Basically, you are the wind beneath my wings and I want to be you. Then end. Uh yah. I am obviously still signed in under Ross' account. lol.